Get an email when Josh makes new stuff! [Update April 2019]: Just about to start our third season, and these planters are holding up really well! The wheels still roll smoothly, and no rust so far. 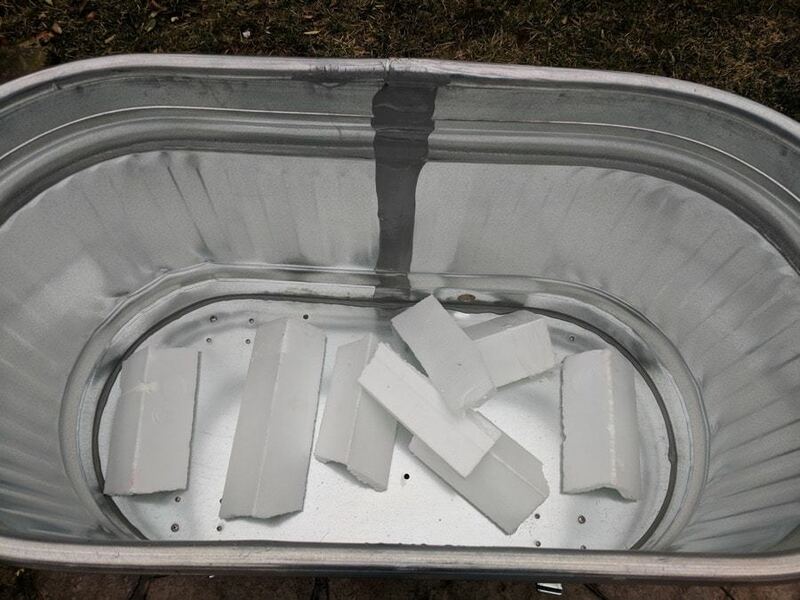 Want to make cool galvanized trough planters? So did I! Here’s how I did it. We live in an old house, and old houses tend to have lead in the soil. The nice folks at UMass tested our soil and confirmed it does, in fact, have lead. So we can’t have a normal garden in the ground. Last year, we tried straw bale gardening. It was great, but some plants (namely basil, carrots, cabbage, a few others) did terribly in the bales. Mrs. MakerJosh grew up with horses, and always liked the look of galvanized metal water troughs. Good old Pinterest showed us lots of ways it could be done, but no specific instructions for how to do it. This spring, we decided to take the leap. 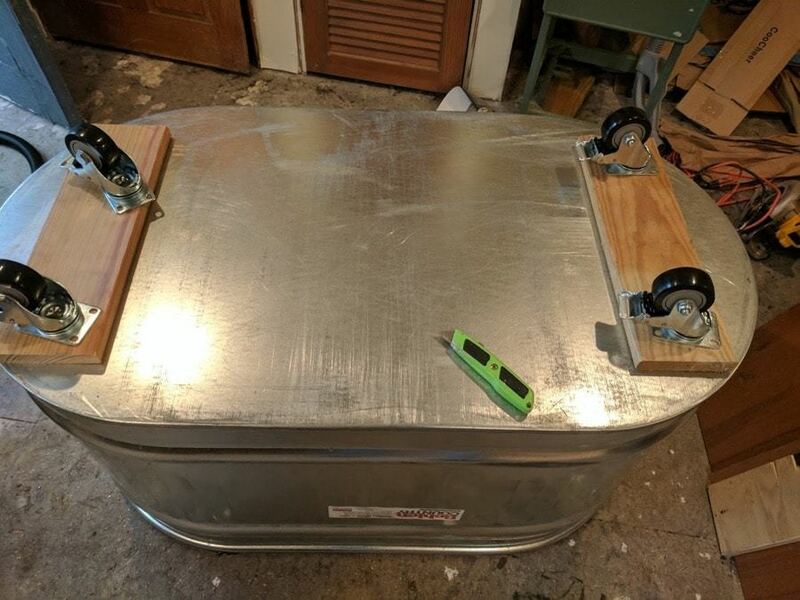 I was going to build six galvanized trough planters. 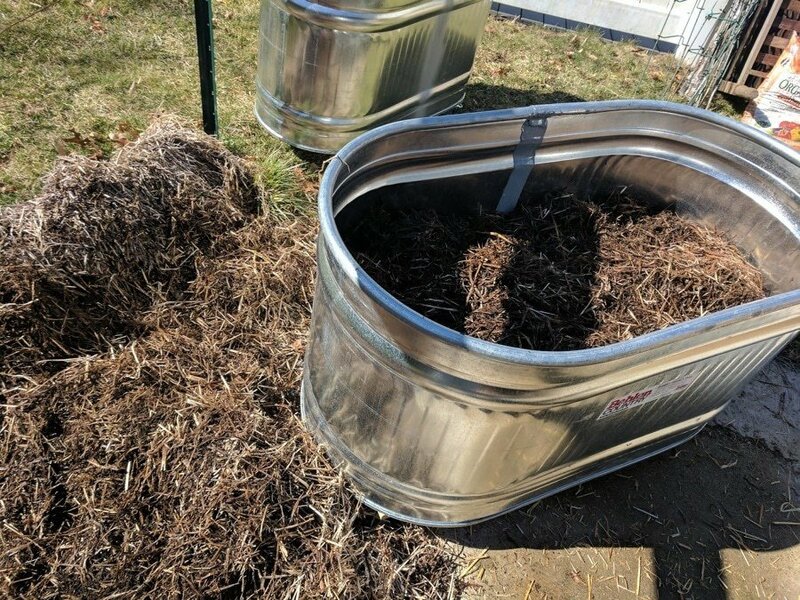 Our garden would be half galvanized trough planters, half straw bales. Before we dive in, take a look at these beauties. You’ll break a sweat. It’s not hard, but you’re moving around a lot. You’ll need basic carpentry skills. 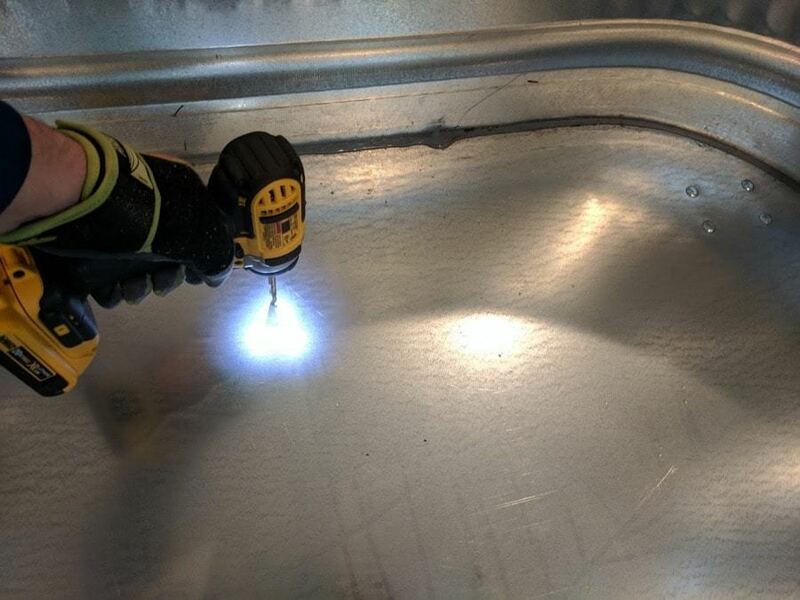 It’s mostly drilling and screwing (#thatswhatshesaid), so you’ll need a great drill. This is definitely a safety glasses and gloves type of project. Some of the metal gets pretty sharp, and there’s dust flying around. If you’re an idiot like me, one planter will take five hours. That includes three trips to the local hardware store. If you’re not an idiot or if you follow these instructions, each planter will take 30-45 minutes to build. $172 per planter. Detailed cost breakdown at the end. They’re called all different things. Is this regional? 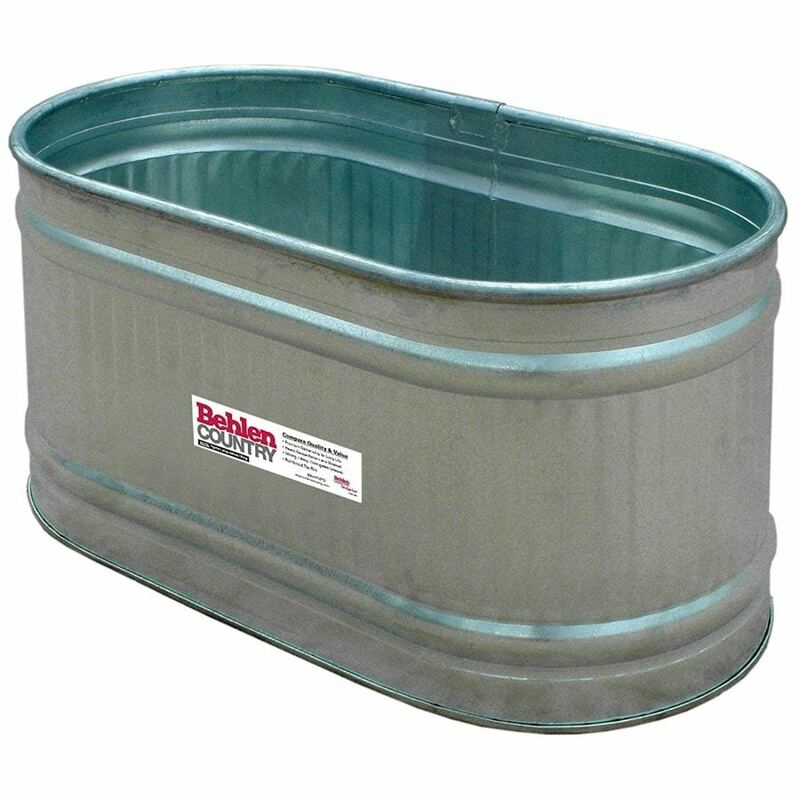 “Feed troughs,” “food troughs,” “galvanized troughs,” “watering troughs,” “stock tanks,” etc. We tried to find a used one on our local Craigslist site, but didn’t have any luck. That’s definitely going to be your cheapest option. So start there, and try all the different name combinations above. For the troughs that we wanted, the prices were about the same between Amazon and TSC. Since we get free delivery from Amazon and we didn’t want to rent a trailer, Amazon was the clear winner! 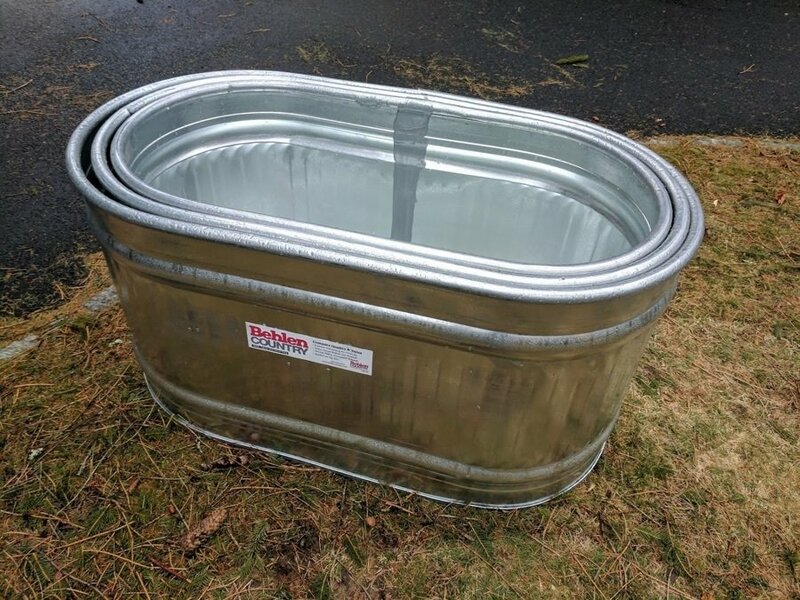 We ended up getting these “galvanized stock tanks” in the 90-gallon size. Pick whichever size suits your fancy. 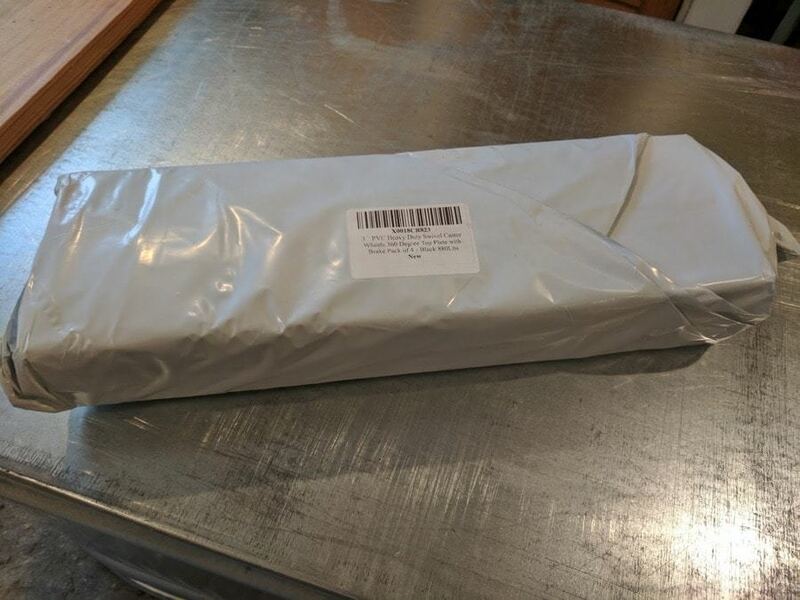 They took about a week to arrive. They shipped via freight instead of the typical Amazon Prime UPS/Fedex. That meant we had to be home to sign for them when they arrived. Trust me, you’re going to want wheels on these things. More on this later, but each planter was easily at least 300 pounds. 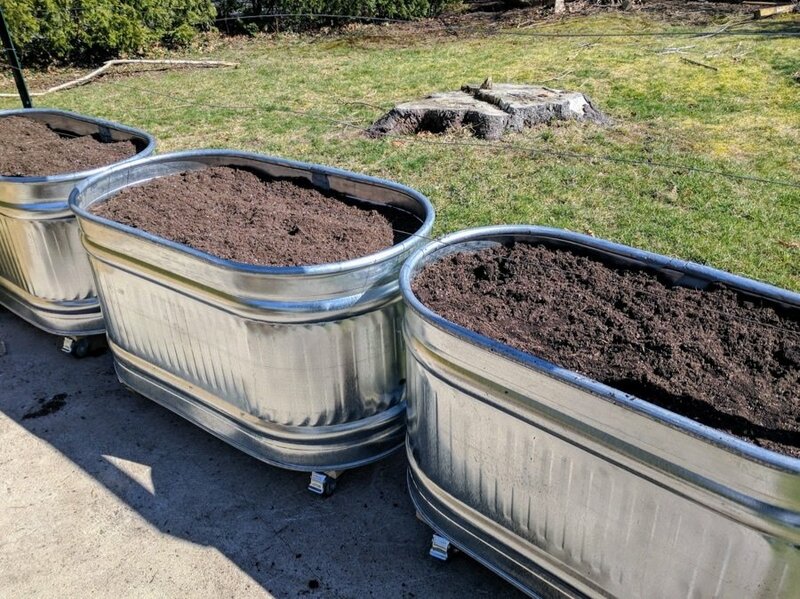 If you fill the whole thing with potting soil, expect it to be over 600 pounds. They are BEASTS. If you don’t put wheels on them before filling them with soil, you’re not going to be moving them. There’s another good reason to have wheels — drainage. If you over-water or if it rains, you won’t drown your plants since the planter is a couple of inches off the ground. Ability to hold at least 800 pounds for a pack of four. 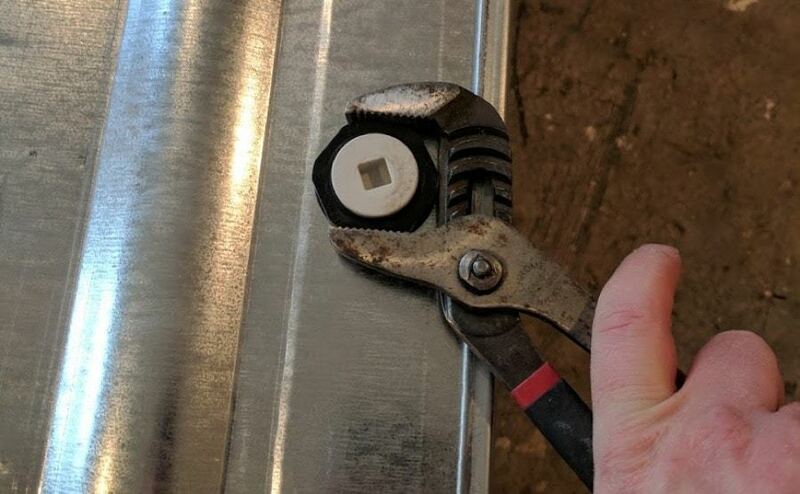 A locking switch so the galvanized trough planters wouldn’t roll around. I would have preferred stainless steel or galvanized wheels. These were tough to find. My hope is that they wouldn’t rust too badly since they’ll be under the watering trough. I’ll be honest — I picked the wrong bolts. And that messed me up, bigly. Trial and error with bolts is the main reason the first planter took five hours. Here’s where you get to learn from my mistakes. You’re welcome. First, I got bolts that we were too skinny. They bent, stripped, and generally made life miserable. Don’t go with anything smaller than ¼”. I ended up with ¼”-20. Next, I got bolts that were too long. I guessed that i needed 2” bolts, and had a grand ol’ time attaching that first wheel. It was a delightful surprise when I learned that the bolts were so long that the wheels wouldn’t turn. So I pulled out my handy folding jab saw and cut the bolts off, and started over. Last, I got the wrong metal. I know better. But I was in a rush. Zinc rusts. Stainless steel doesn’t. 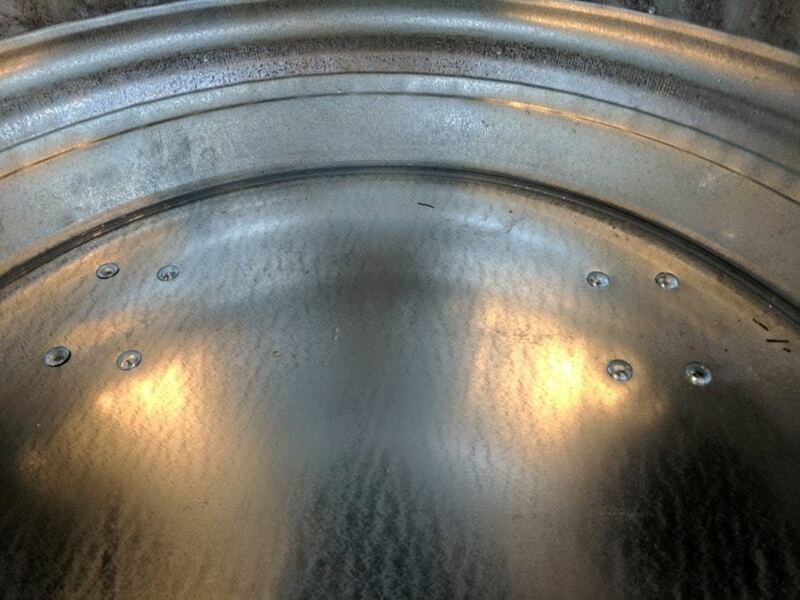 You need stainless steel. ¼”-20 x 1-½” Stainless Steel Hex Head Bolts. Any longer than 1-½”, they’ll hit the wheels. Anything shorter, they won’t make it out the other side. You’ll need 16 per planter. ¼”-20 Stainless Nylon Insert Lock Nuts. Lock nuts are nice because they won’t come loose after they’re attached. Again, 16 per planter. ¼” Flat Washers. You’ll need 32 per planter — one for the top of the bolt and one for the nut. 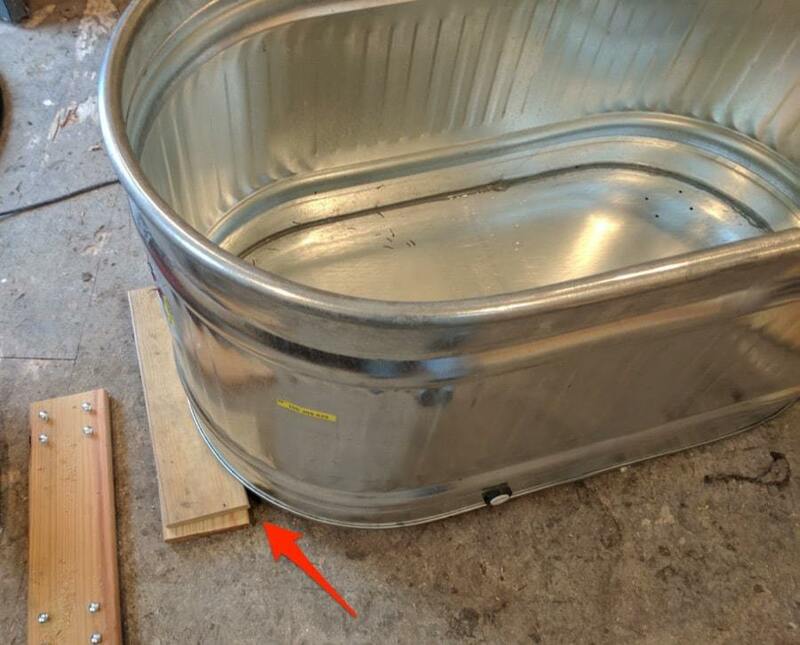 The bottom of the galvanized trough planters are way too flimsy to support 800 pounds. I was lucky because I had some wood leftover from a fencing project. 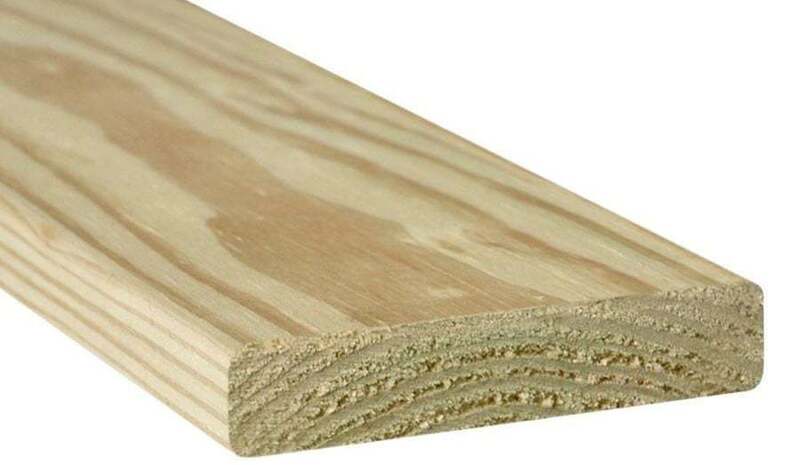 I found that the wood commonly used on decks (5/4” by 6”) was perfect. You’ll need 36” (three feet) for each planter. You’ll also need a roll of this stuff to make sure your potting mix doesn’t just wash away. An excellent drill/driver. I recently upgraded to this puppy and it’s the best drill I’ve ever owned. 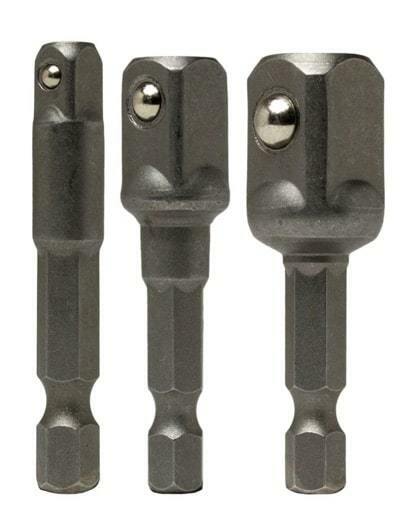 Some sharp drill bits. You’ll be using the ¼” bit a lot. I also picked up this little kit, and am very happy with the quality. Oh my god you need this. I didn’t have the right size when I started the project. I picked one up on one of my trips to the hardware store, and it made things go so much more smoothly. These little adapters let me use a socket wrench on my drill. Good safety glasses and gloves. Definitely some sharp metal and wood flying around. A good tape measure. I have a few of these kicking around, love the ability for the tape to stand out unsupported. Tape to act as a second pair of hands. This is another trick I learned along the way. This Gorilla Tape was great because the troughs were a bit damp. This kind of tape actually thrives in slightly damp situations. A good socket set. For this project, it helps to have sockets that are a bit long, like this one. 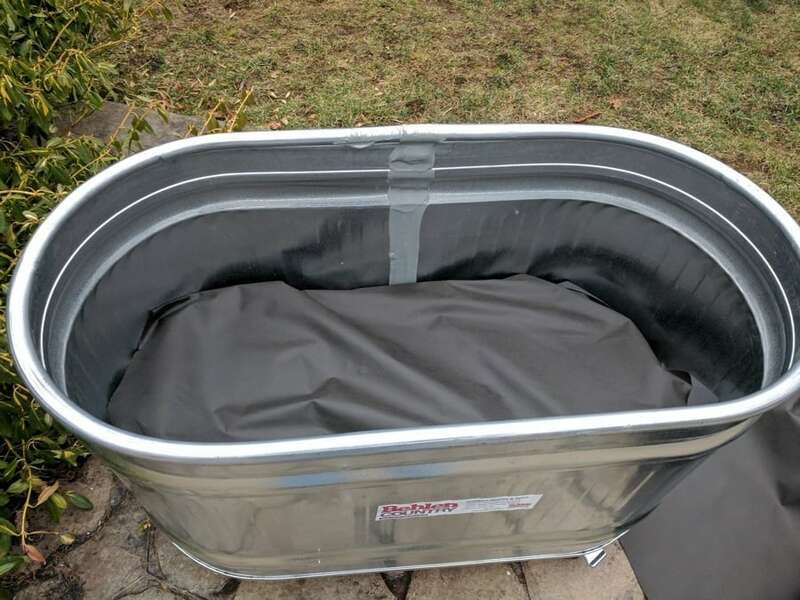 Let’s get to building the galvanized trough planters! Planter #1 took me 5+ hours. Planter #3 took me 31 minutes. YMMV. We thought it was odd that the troughs are slightly different sizes. Once they’re unpacked, though, we didn’t notice it at all. 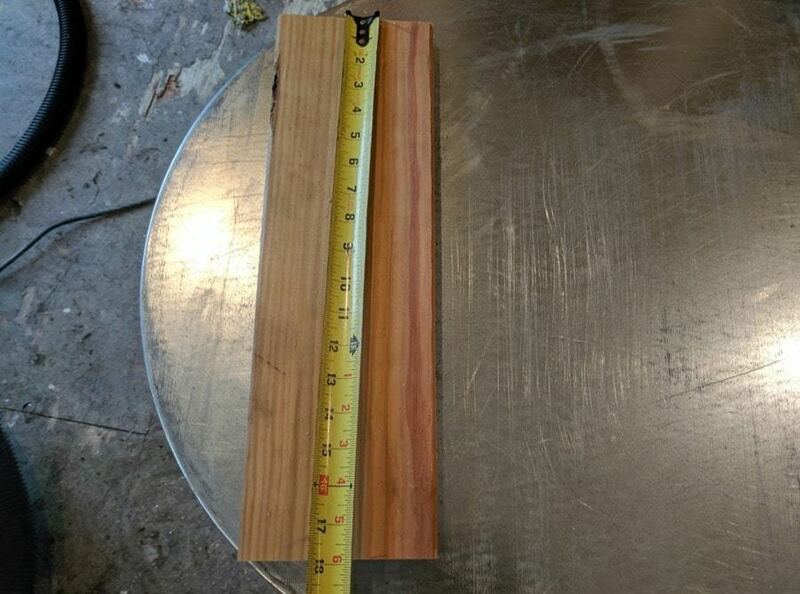 Cut two 18” lengths of pressure treated wood. Place your wood and wheels in their approximate spots. You want the wood as far as possible to the outside edge, with the corners lining up with the edge of the planter. Do this for two reasons: (1) to maximize stability and (2) so that you can reach the wheel locks with your foot. 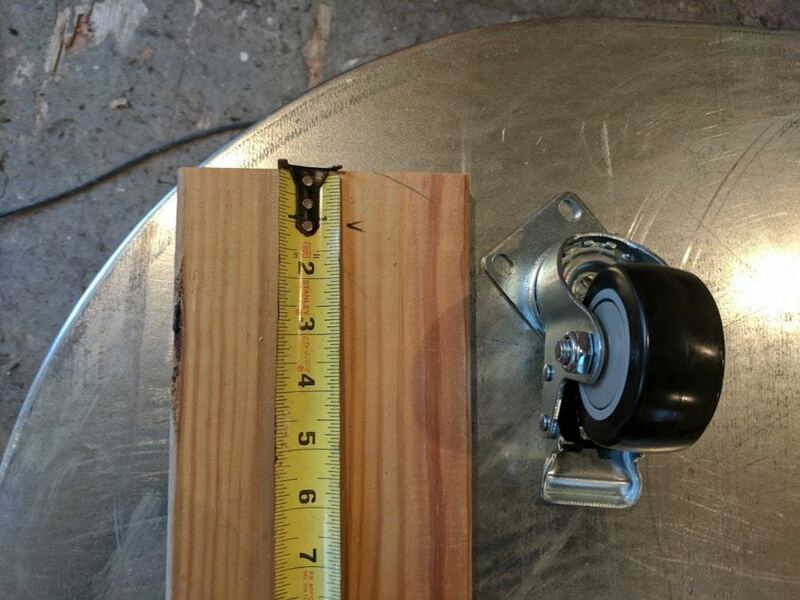 Measure 1 inch from each end of the boards to find where you’ll mount your wheels. Center the wheel on the board at the 1” mark, then use a Sharpie or pencil to mark your holes. Step 5: Get to drilling! 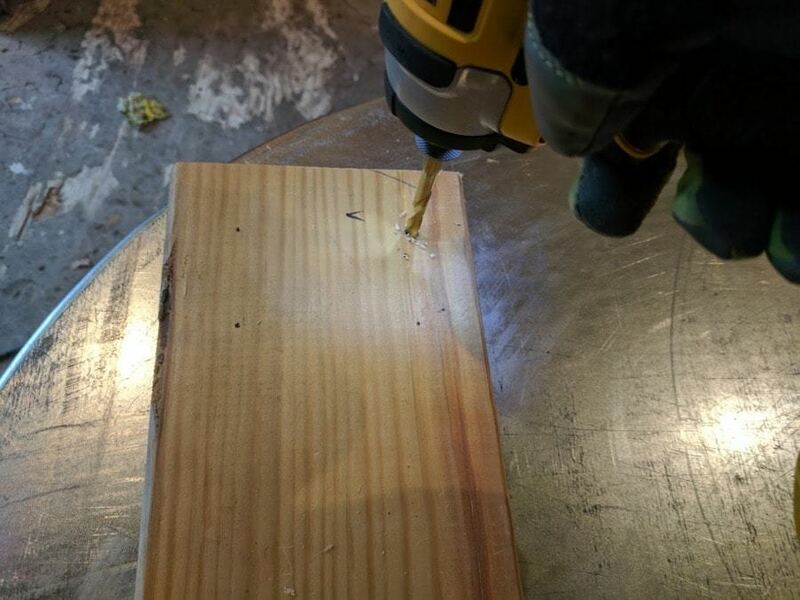 Re-position your board so that the corners line up with the edges of the watering trough. 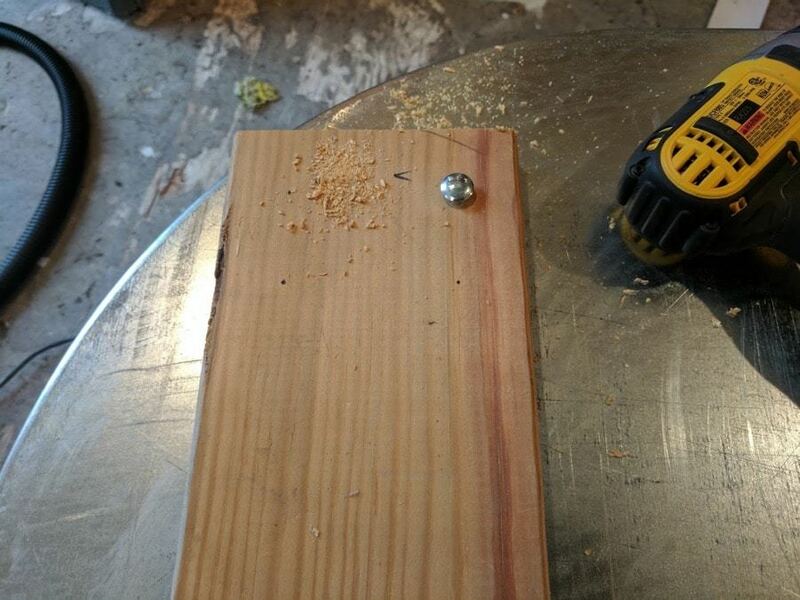 Put a lot of weight on the board to hold it in place, then grab your ¼” drill bit and start drilling holes. (LPT: go slow! You’re drilling through an inch of wood and then metal. If you’re putting the right amount of pressure on your drill, it should take 10-15 seconds for each hole). 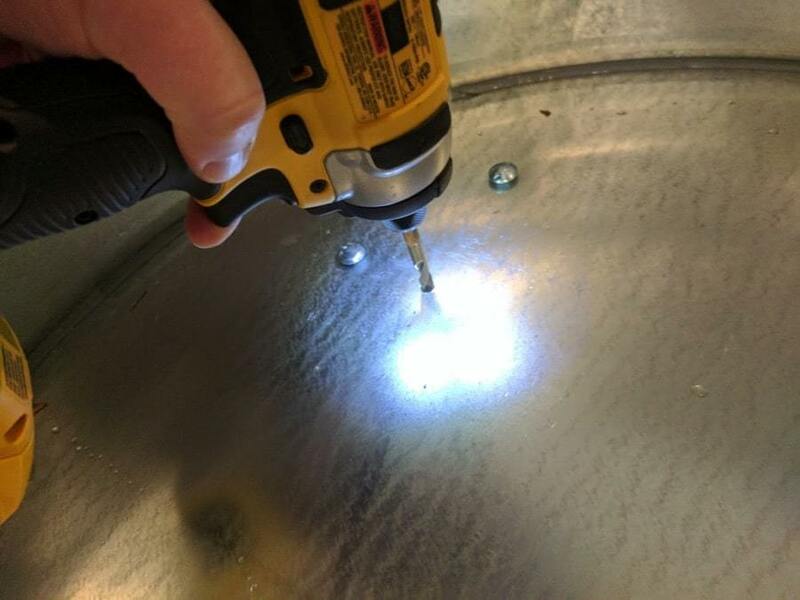 Once you’re done with a hole, drop one of your bolts into it. That will keep it in place as you drill the other holes. 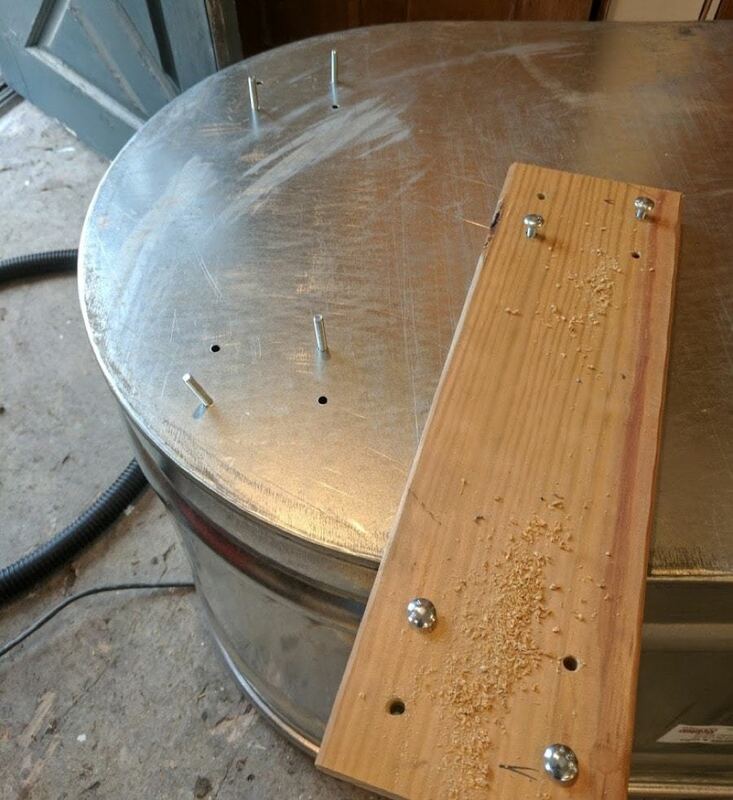 Take the boards off, leaving the bolts in them, and place them to the sides of the planter. Be careful to keep them oriented in the same direction as they were when on the planter, so that your holes will line up. Stack up a couple of your boards to raise one end of the trough off the floor. You’re going to need some room underneath for the bolts. Put two bolts in each side (don’t try to do all four at once — they’re actually really hard to line up). Put a washer under each bolt head. Then cover them with a strip of tape to hold them in place. Carefully flip your watering trough back over. You’ll be greeted with four friendly waving arms. 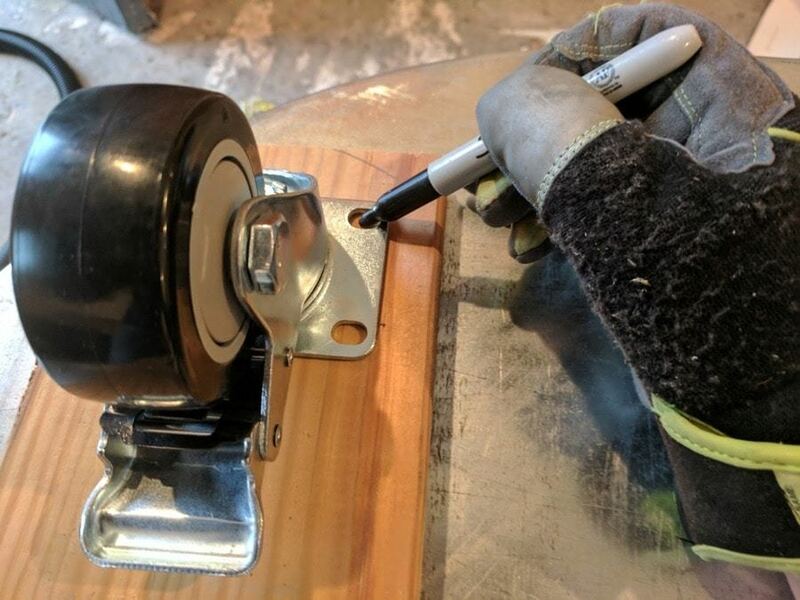 Line up your board over the bolts, and then set two of the wheels on top. Put washers and nuts on each bolt end and hand tighten. Then grab your drill and socket combo, and tighten those puppies down. You want to be careful to tighten these just enough. 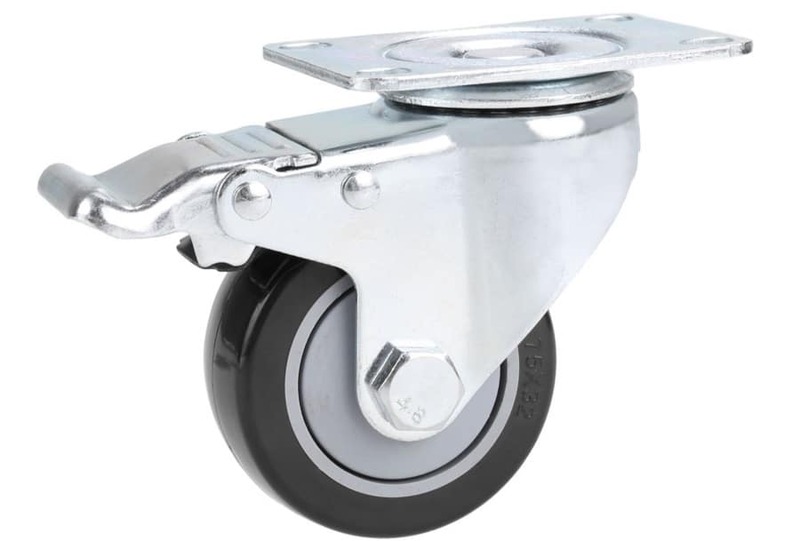 Too much, and you’ll pull through the thin metal and the bolts will block the wheels from turning. Too little, and you’ll have wobbly galva trough planters. 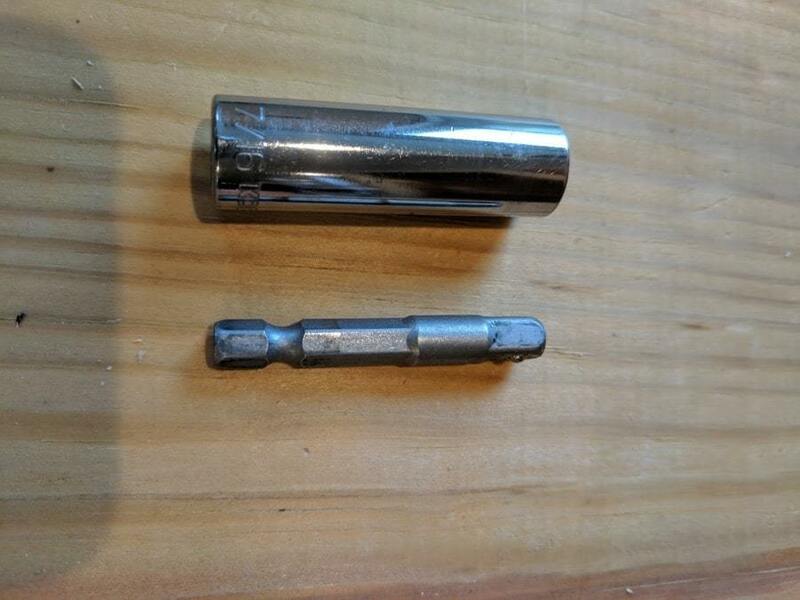 Using my trusty carpenter’s folding rule, I found that having the bolt end stick out about 3/16” from the nut was perfect. Flip your trough over again. No worries! 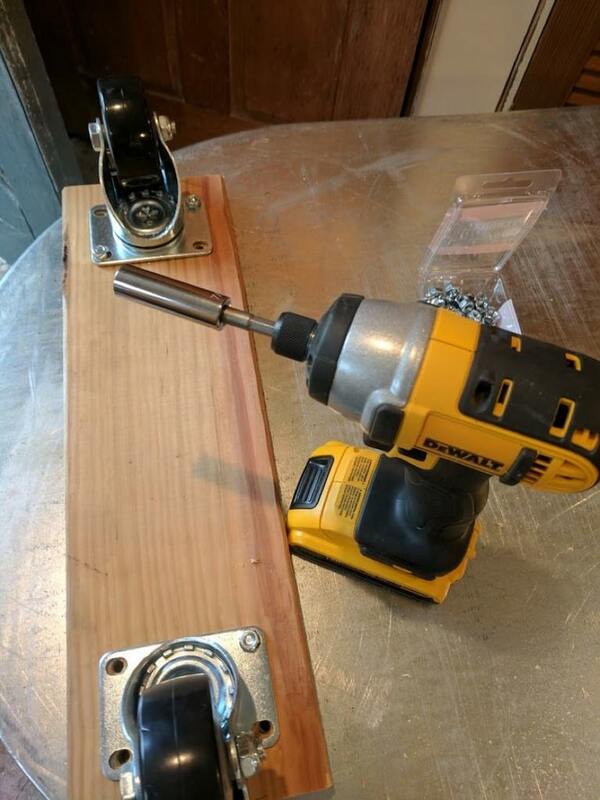 Just grab your drill and ¼” drill bit and re-drill the wood hole. Then repeat the process, adding the other four bolts to the holes (with a washer on each one! ), and taping them down. Flip your trough over again. 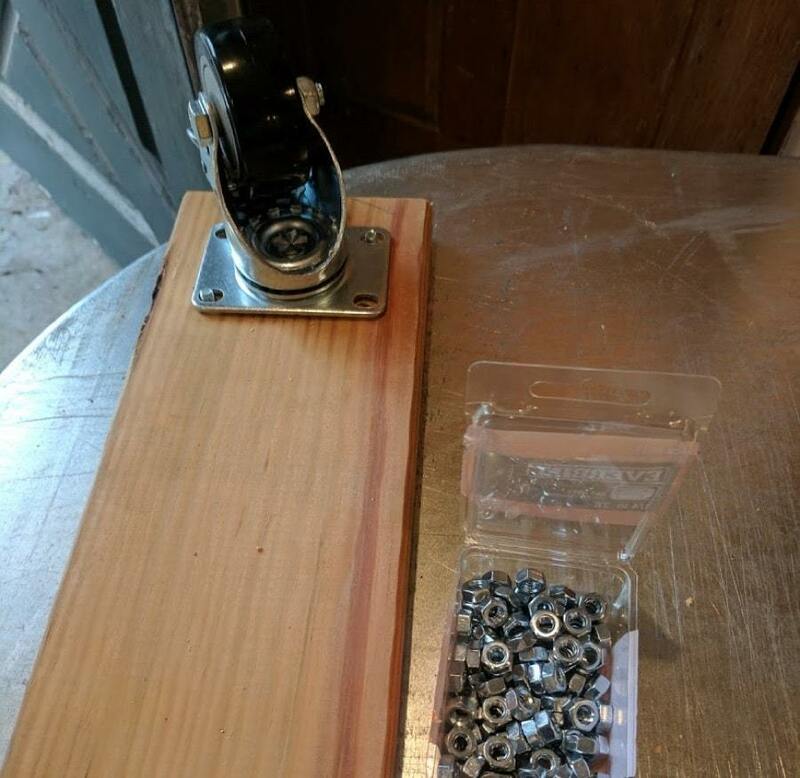 Put washers and nuts on the remaining bolt ends, and tighten them down. 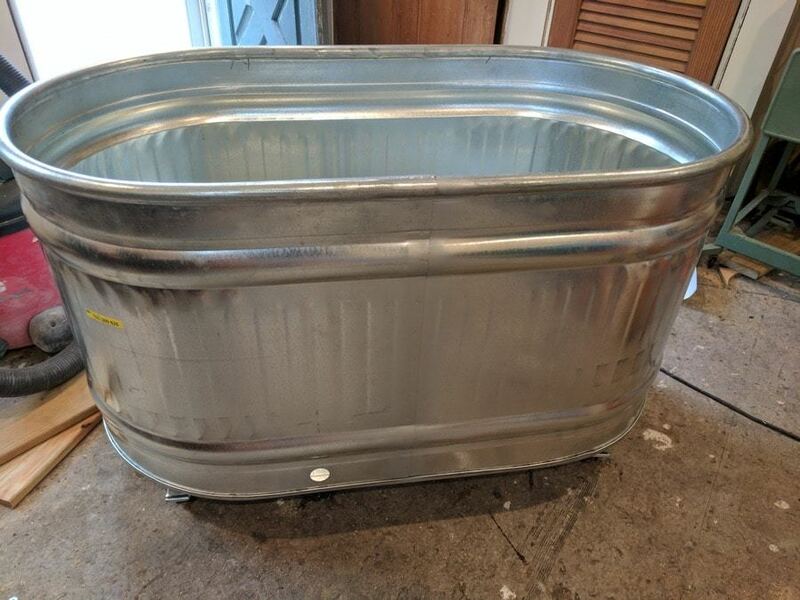 You’re now the proud owner of a half-made galvanized trough planter! 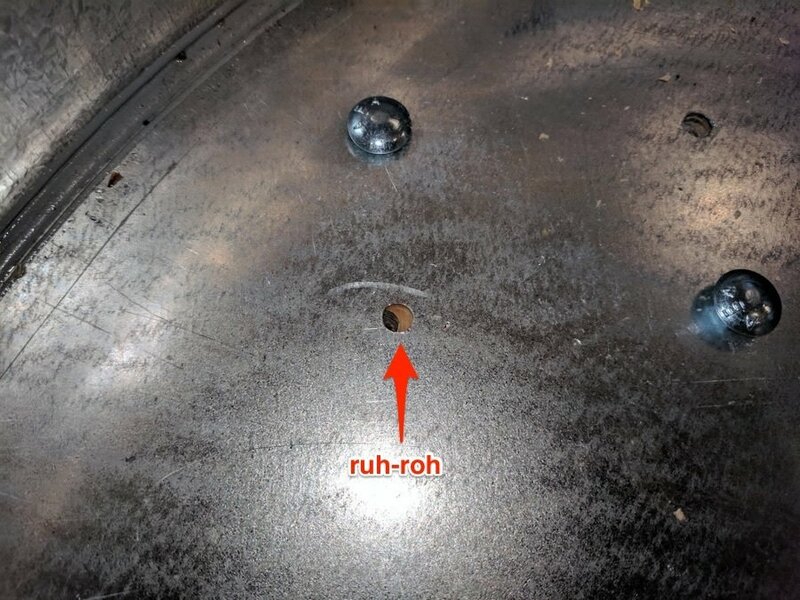 If you look inside your planter, the bolt heads should be nice and snug up against the metal. If they’re not, you may need to loosen and tighten the nuts a couple of times to draw them in. Fantastic! 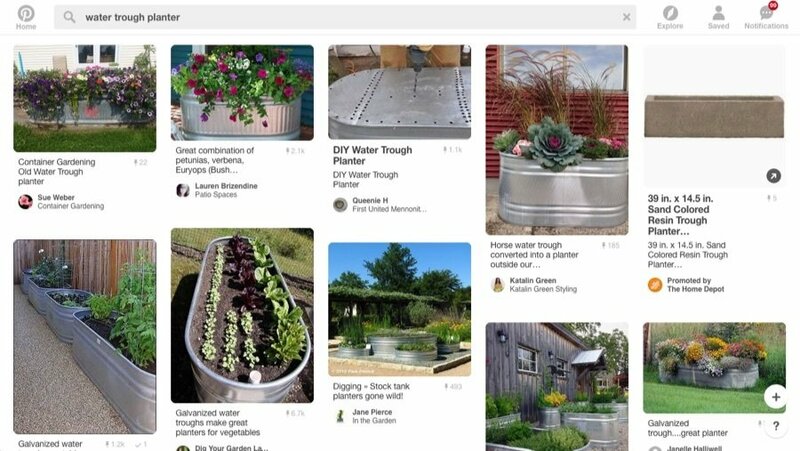 You should now have a galvanized trough planter that’s nearly ready for the great outdoors. There are still a couple of things you need to do, though — it’s drainage time. 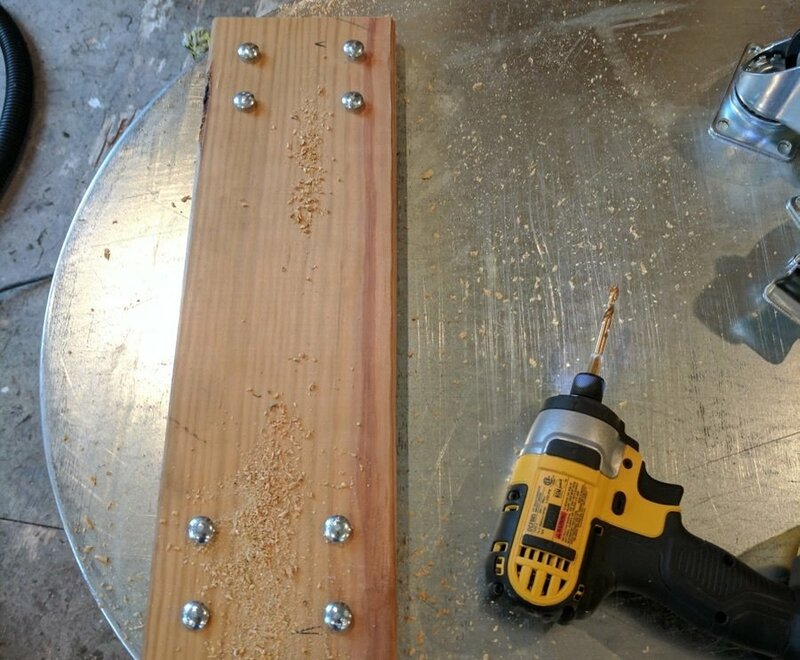 First, drill 10 holes in the bottom of the planter with your ¼” bit. Just randomly space them out. Now we’re ready to head outside! As mentioned above, these suckers are HEAVY. 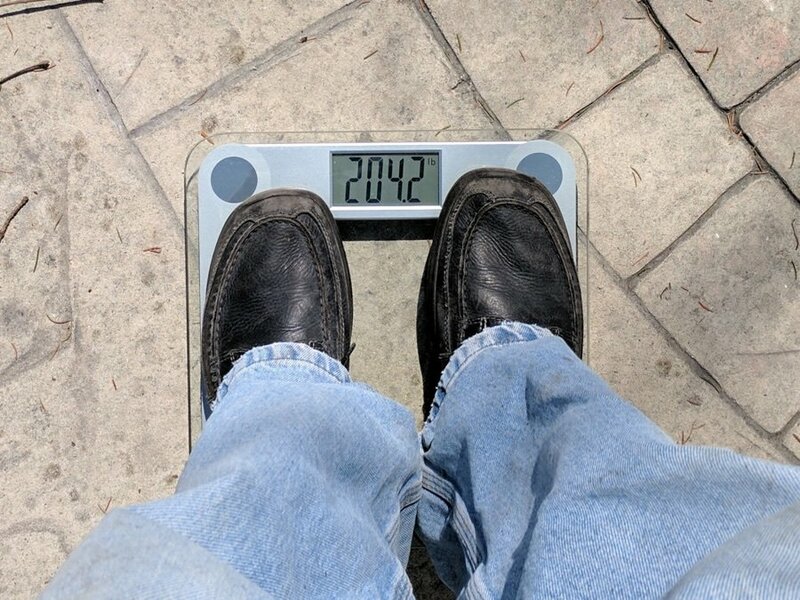 (don’t worry – I’m 7 foot 4 inches. 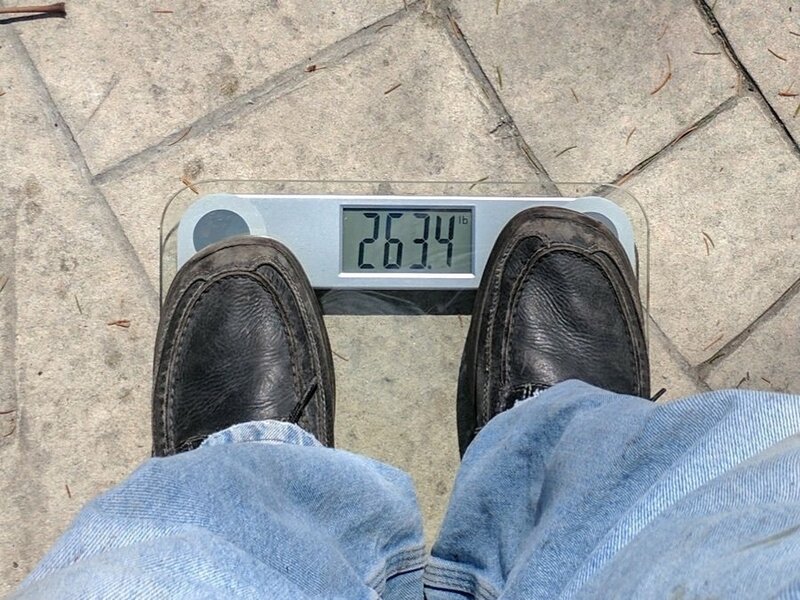 That’s a perfectly healthy weight, I’m really not overweight at all). Each bag was about 60 pounds. It would take 6-8 bags to fill a galvanized trough planter all the way up. That’s 360 – 480 pounds, not to mention the weight of the trough itself. So we could get by with soil in just half of the trough. But what to fill the bottom with? 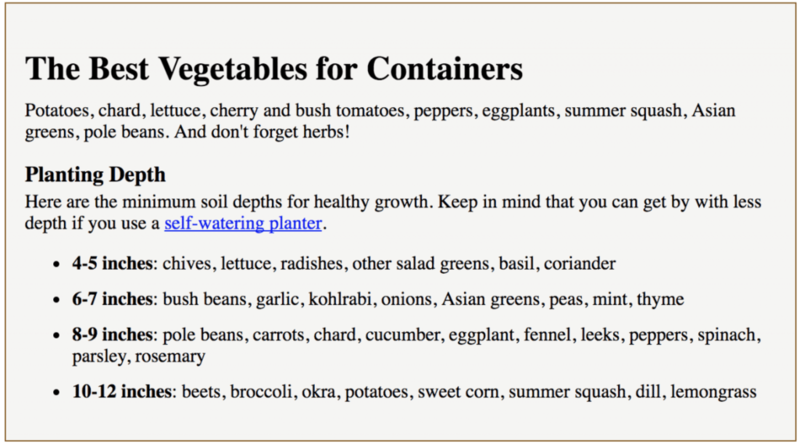 Lots of great ideas out there — the Yarden recommends gravel, broken pot shards or other material. ApartmentTherapy suggests soda cans. Two Men and a Little Farm talk about soda bottles or rocks. I was in the middle of a dump run when struck with inspiration. I saw multiple people wrestling with packing styrofoam. 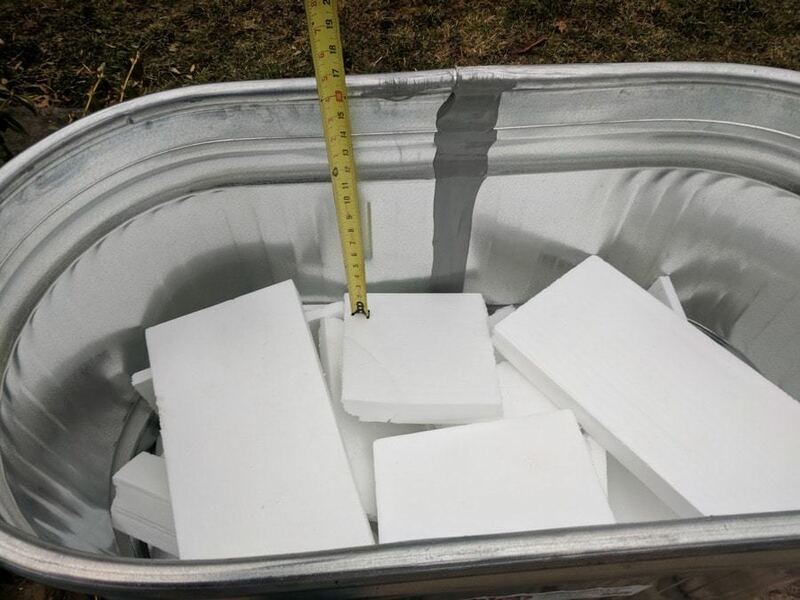 Not those annoying peanuts, but big stable chunks of styrofoam that can pad a TV. 10 minutes later, I was the proud owner of lots of free styrofoam. I was also the subject of five people looking at me like I was crazy when I told them that I’d take their styrofoam. I broke up the styrofoam and placed it in the bottom third of the planter, careful not to cover the drainage holes. I made sure I had about 18” left for soil. Then I covered the styrofoam with landscape fabric. This will keep the soil from washing away. It’s time to fill it up. Then I filled the remaining space up with potting soil, leaving an inch or two at the top. It took 3-½ 50 qt. bags of potting mix to fill up top of each galvanized trough planter. Here they are, all ready for planting! As a family, we always try our best to eat organic produce. We definitely had some thoughtful moments during this project. 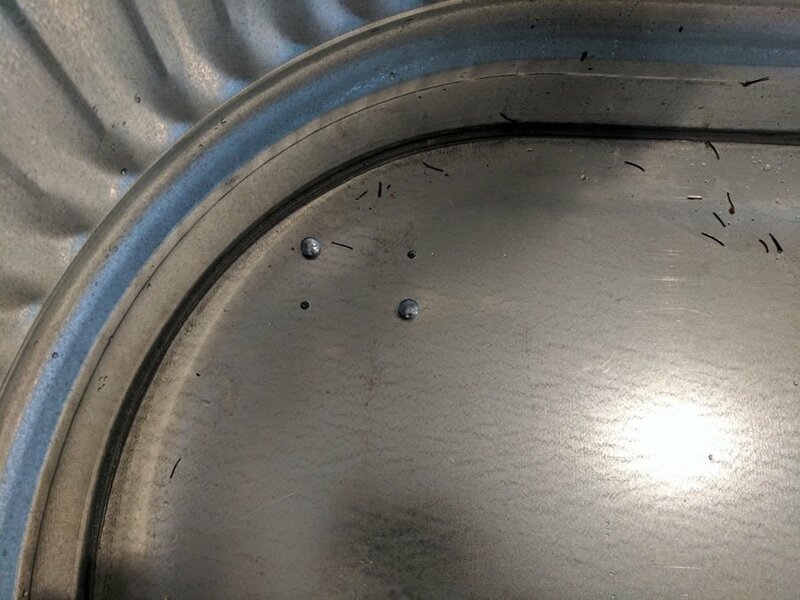 Is it safe to grow in galvanized metal? 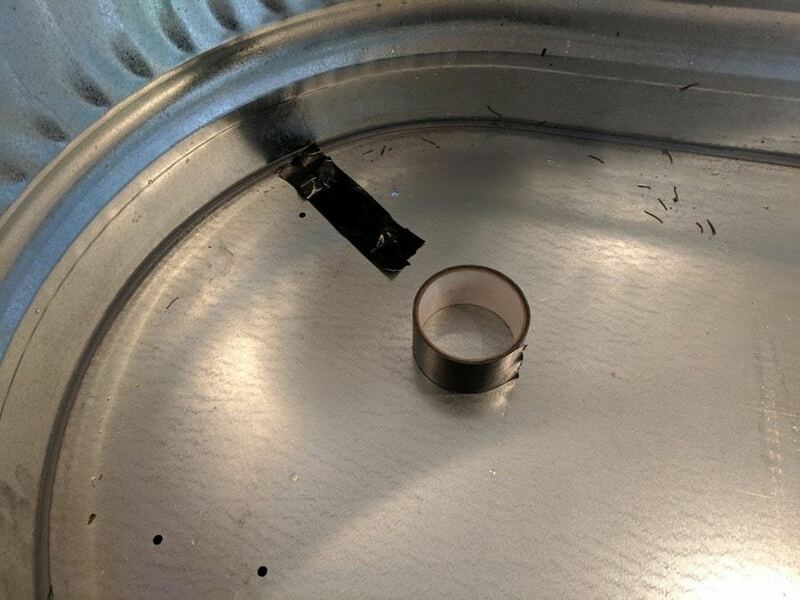 We thought for a moment about plastic liners like these, but is plastic really better than metal? Yeah. We had the same thought. We didn’t find any definitive studies or articles on the topic, but decided that having them in the bottom and having landscaping liner between the soil and the styrofoam made this a low risk situation. If you know something different, please post it in the comments! Doh! We would have preferred organic potting mix, but the local home improvement store was out of stock. It’s back in stock now, though, and the price is similar. 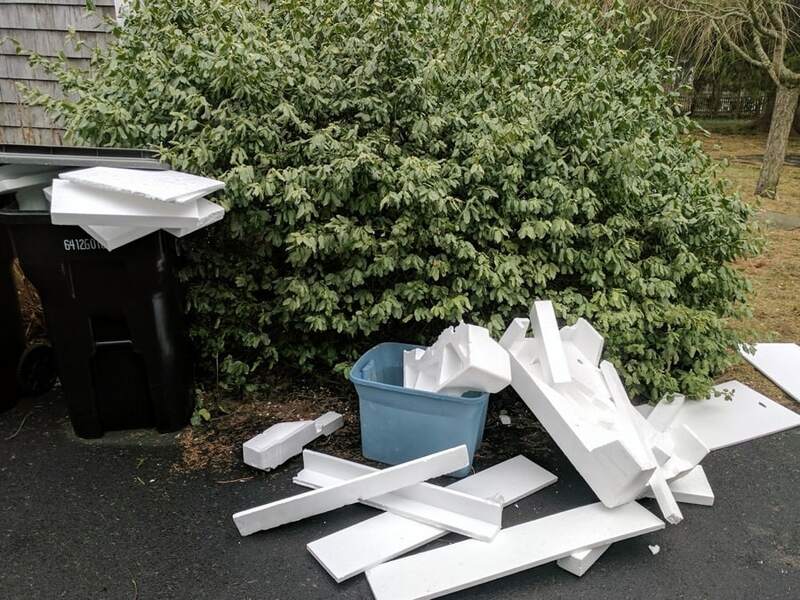 Styrofoam from the dump: FREE with strange looks! The biggest expense is the planters. Use an IFTTT recipe to get emails whenever someone posts something on Craigslist that matches search phrases like watering trough, feed trough, stock tank, etc. Watch for sales on potting mix / potting soil. That’s the next biggest expense in this project. Don’t use regular old garden soil — it’ll be even heavier and you’ll have drainage problems. I suppose you could skip the wheels, and just rest the planters on bricks or stacked wood. I wouldn’t recommend it, though — you’ll be fine the first year, but in a world of hurt from year 2 and on. Have some ideas of how I could improve the design? Have questions, or pictures of your own planters that you want to share? Put them in the comments below! And if you liked this write-up, I’d really appreciate a Pin on Pinterest or a like on Facebook! Some of the links on this page are affiliate links. Please don’t feel obligated to follow them, but I’d definitely appreciate it. This was a great write up for both detail and humor. (You got to keep ’em separated!) Thanks for posting! Awesome write up – just what I was looking for, thanks! I wonder if it would be a little easier to make a wooden frame for the wheels that the tub sits on top of? 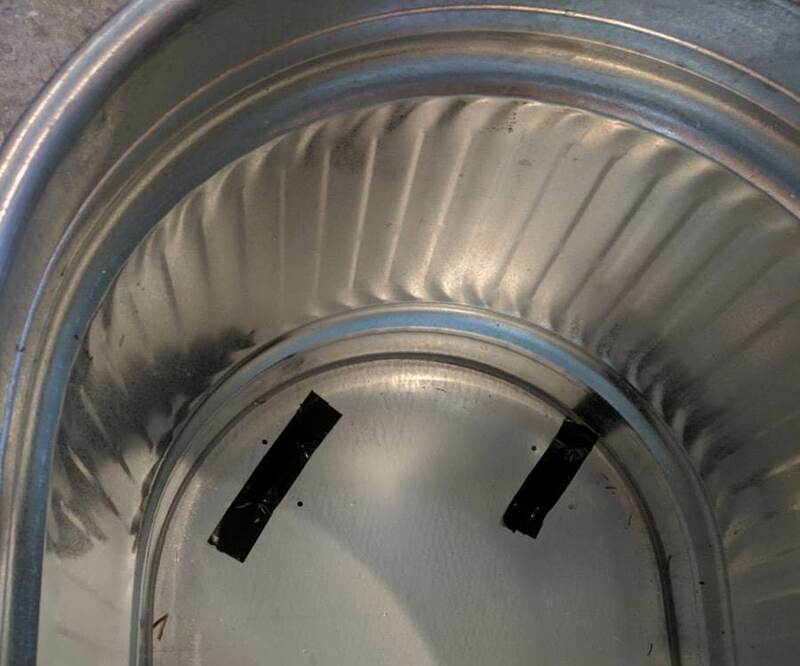 That would eliminate the back and forth of the bolting, support the bottom of the trough and perhaps a little easier to replace the tub or wheels if something wears out. Great idea! I was thinking about doing that, but thought I’d save a step. I might have been short-sighted, though! I was planning on raising an 8 ft trough on some pressure treated wood, as I think it will simply be way too heavy for wheels. Why do you say that after year 2 I would be in a world of hurt? Because of rotting? Do you think it would be any better to use bricks or cinder blocks? The trough is on solid concrete otherwise, I’m only thinking of raising it to help with drainage. I say a world of hurt because of the weight of the planters + the soil — you wouldn’t be able to move them if you needed to do so. I just took mine apart and inspected the wheels (after a year of watering + leaving outside for the winter), and they looked great and still rolled around smoothly. But I personally think you’d be fine with pressure treated wood, cinder blocks, or bricks. Good luck! Thank you for this! I did one by myself and it took 2.5 hours, mostly because I had bad tape that didn’t hold the bolts well enough. The nutdriver was a life saver and I almost didn’t bury it! This may seem like a dumb question…but, where do I place the washers? 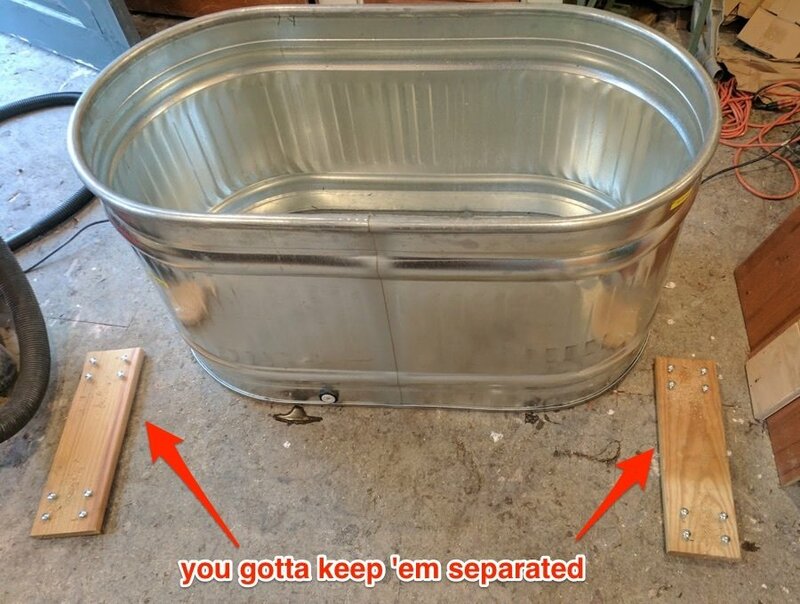 Does one go on the inside of trough on metal and the other on outside bottom on top of wood? Or do both washers go on bottom outside…one on top of wood on bottom of trough and the other between nut and wood. 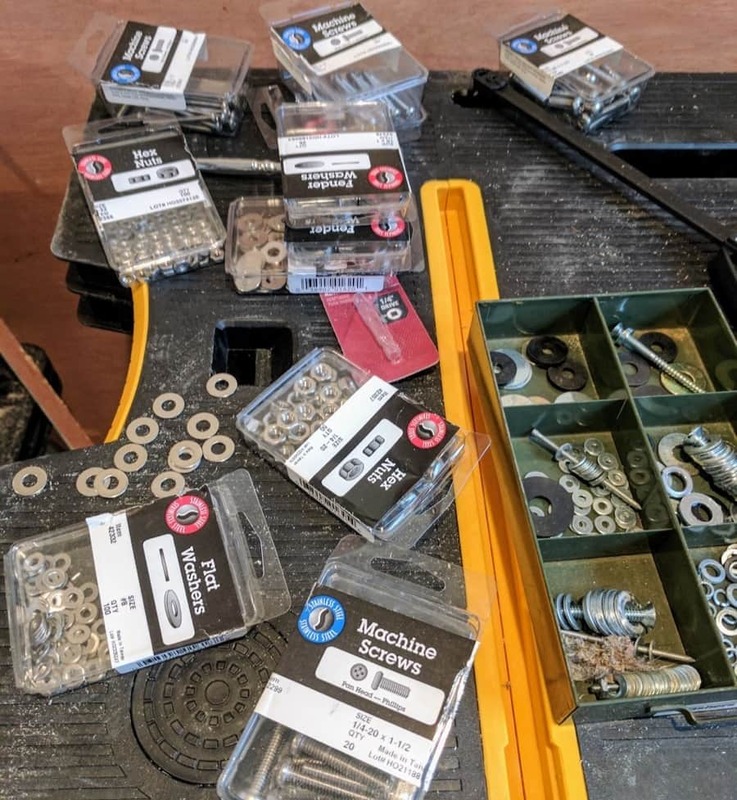 I started by putting the washers on the inside of the tub, but I ended up having to change the bolts, and the ones I used had square heads that didn’t sit flush inside the washers. 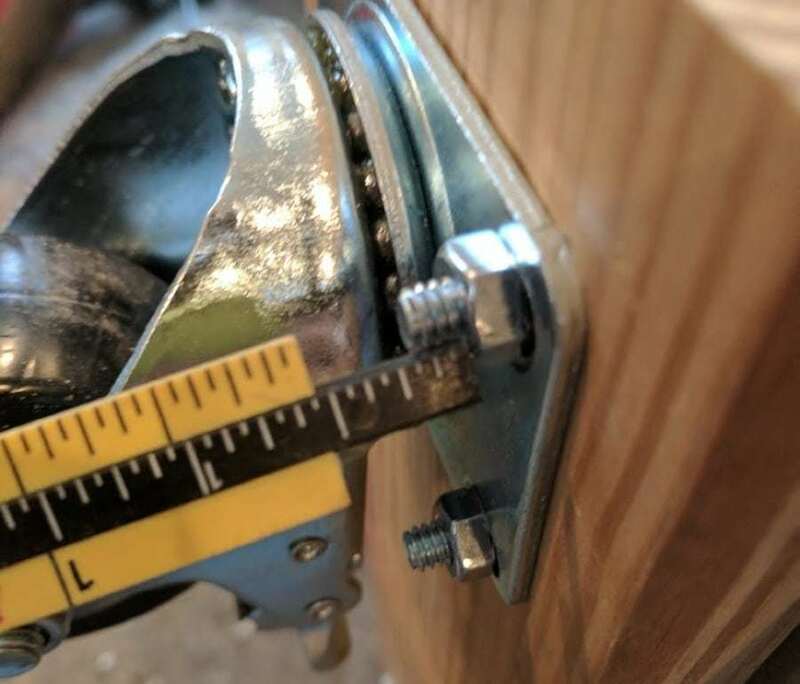 If you don’t have that problem, it’s a good idea to put a washer inside and outside, but if you have a big-headed bolt, that should probably be enough. You’ll be able to tell pretty quickly if it’s not working after one or two. Great write up and very detailed instructions, thank you! Hi! I love this. I have a old tank that’s rusting on the bottom on lower sides. Should I scrape it and get a new one? I think if the rust is just on the surface, you should be ok brushing it off and maybe sealing it with a rust sealer spray paint. If it’s started to corrode through, though, I’d get a new one.